Marketing personalization takes on new meaning with custom variables in Facebook Messenger contacts. Segment and send content based on who they are and what they need. Step 1: Use custom variables in Forms and Quick Questions to save attributes to customer profiles. You can use custom variables to customize and personalize your messaging with dynamic variable insertion. 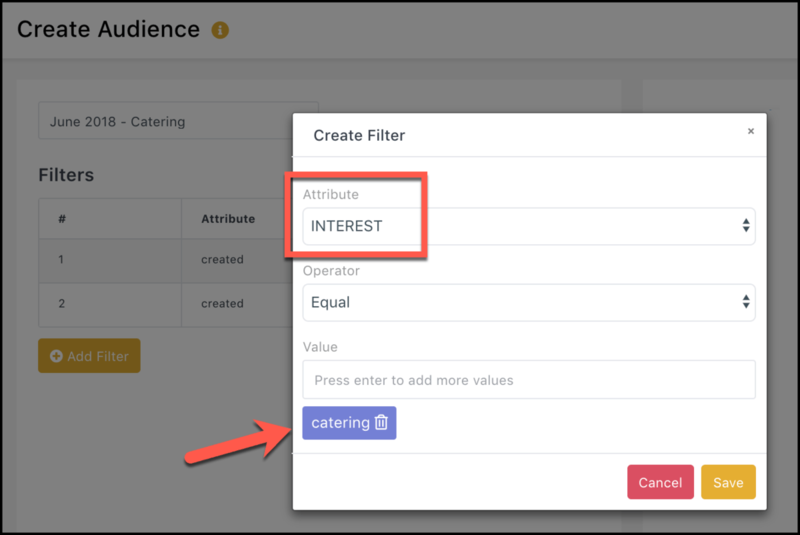 Step 2: Create audience segments with custom attributes. Layer on system attributes from Facebook Messenger like where they are and when they subscribed to segment by location and brand awareness. 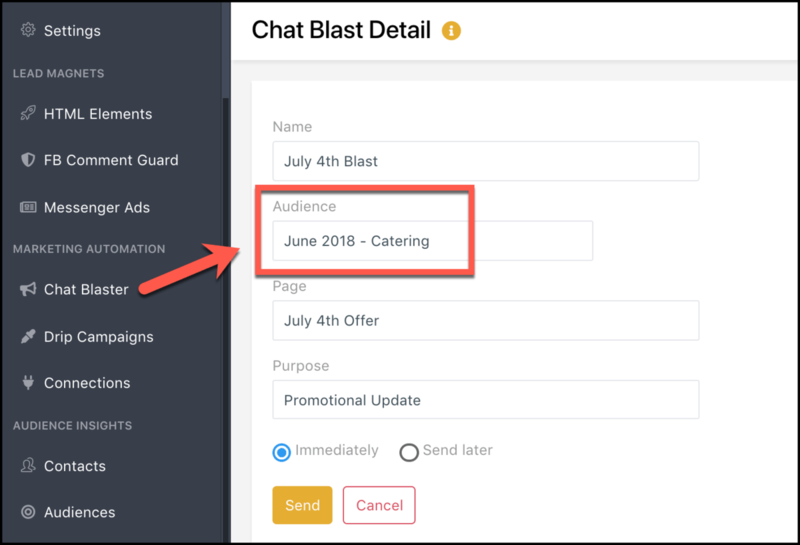 Step 3: “Remarket” to audience segments with follow-up automation including Facebook Messenger drip campaigns! with Custom Variables for Facebook Messenger Contacts! It’s easy to assign variables as you build your chatbot. 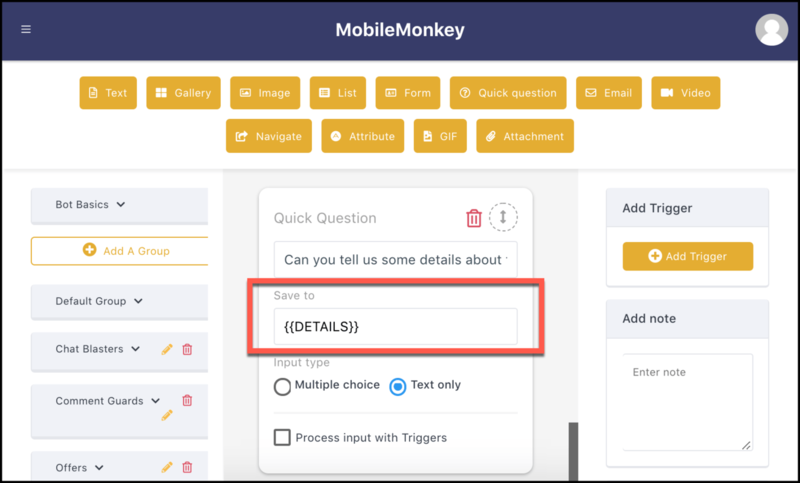 MobileMonkey’s content builder takes custom variables into account from the get-go. Add a variable to your Messenger conversion forms by naming your variable in the “Save to” field. That’s it! You can use guided multiple-choice responses and free-form text responses to collect variables. For text responses like above, the user-typed response is saved as the attribute. With custom variables in Facebook Messenger conversion forms, responses are automatically saved as attributes in customer profiles. Plus every custom variable you collect can be included in messaging text with dynamic variable insertion! Speak to your contacts personally by their first name, or ask if the email on file is the best to reach them at. 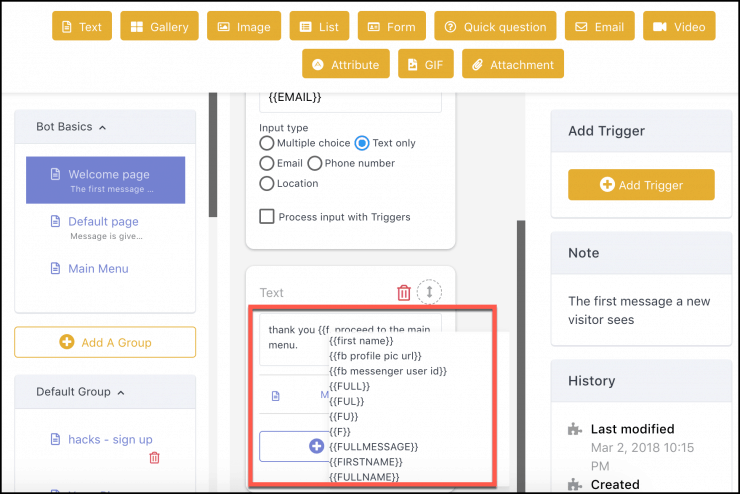 Customizing and personalizing your messaging with any of your contact variables is easy! Use custom variables to slice and dice your audience into interest-based and time-based segments. 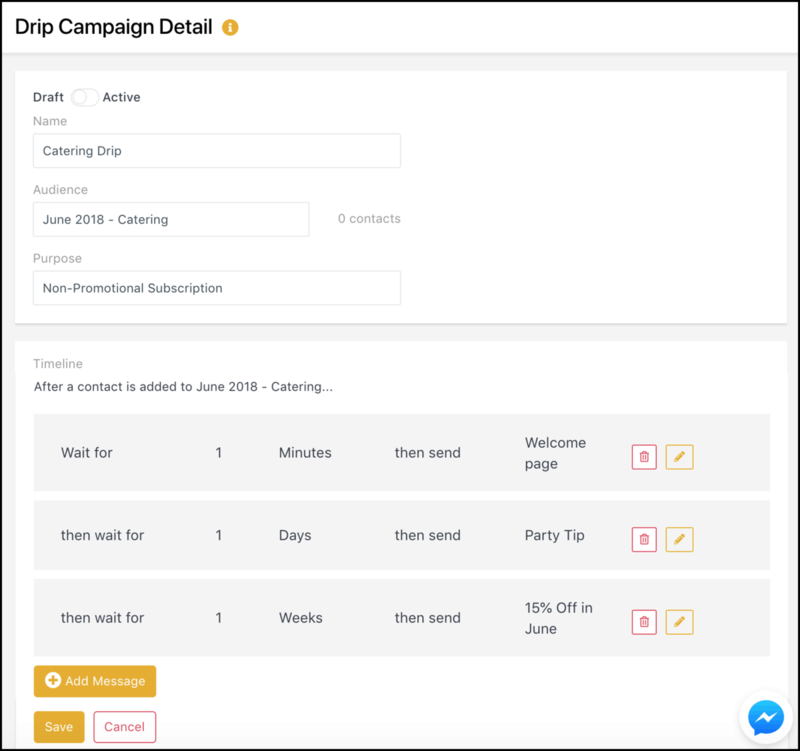 Design drip campaigns tailored to move variable-based audience segments through the funnel. A catering interested audience may get a welcome message on sign up, a party-hosting tip the next day, and a discount the following week! Segment audiences. Send relevant content. It’s that easy. If you’re doing remarketing campaigns to reach people who know you, awesome! What’s more awesome? Facebook Messenger remarketing! Facebook Messenger marketing starts with opt-in when leads reach out to you. Messenger keeps a persistent history, whether chats happen in an on-site chat widget or in the Messenger app. Marketers can send solutions, tips, how-to content, special offers and loads of brand personality in Messenger. Bottom line – Facebook Messenger remarketing deepens customer relationships! 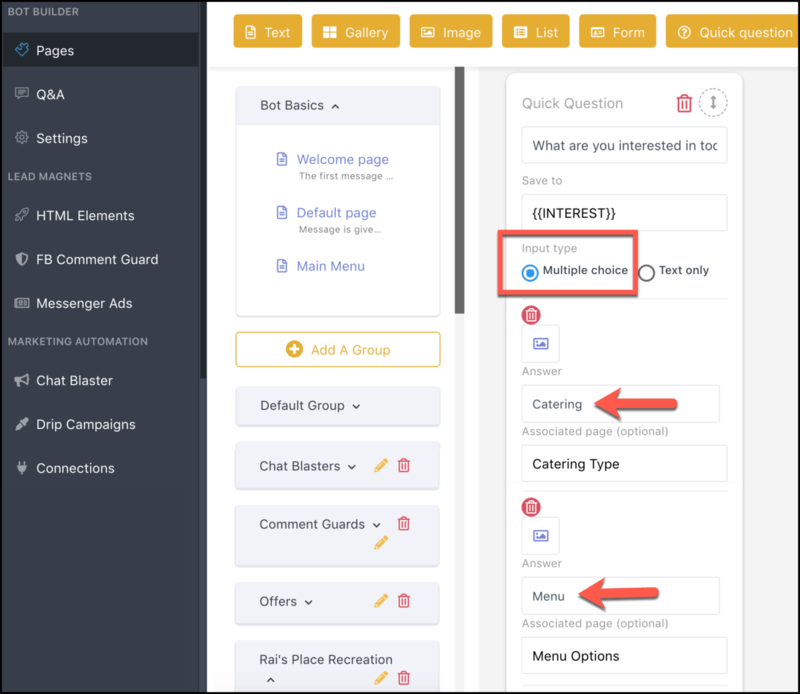 Launch interest-based personalization in your Messenger marketing automation. & Remarketing with Custom Variables!